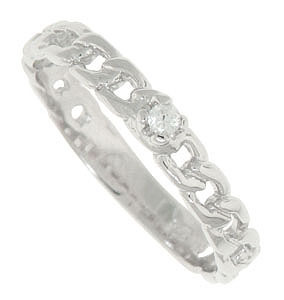 A delicate chain link makes up the face of this 14K white gold retro modern engagment ring mounting. This lovely wedding ring symbolizes the beautiful and strong bonds of love. The mounting measures 2.95 mm in width. Size 5 3/4. We can re-size. 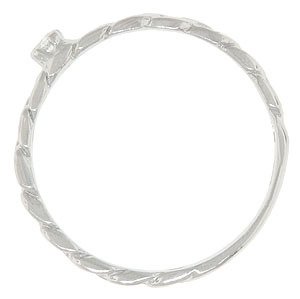 The mounting can also be special ordered in any size and is available in 18K, yellow gold and platinum.